Do you have a strongly artistic personality? 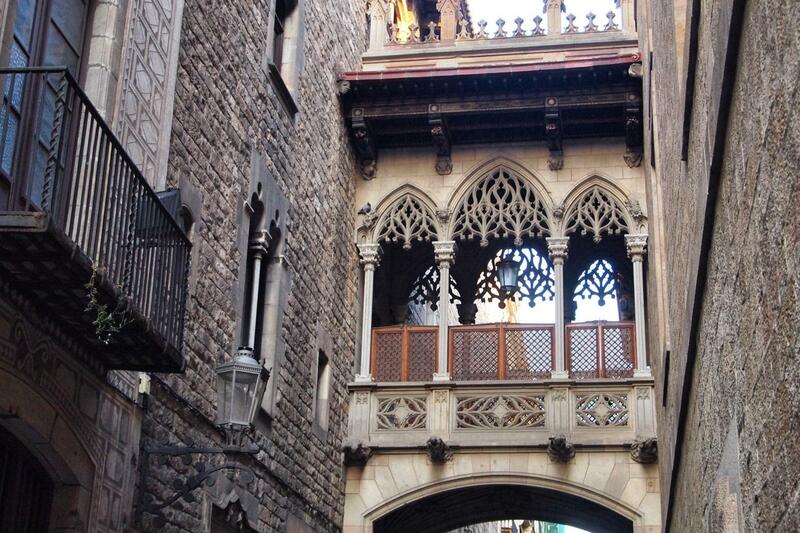 Our Picasso tour in Barcelona will take you to the city centre to see the gorgeous Barcelona from a completely different point of view. You will be accompanied by one of our great private guides for a walking tour of Picasso's outposts around the beautiful city of Barcelona. The tour will last 4 hours and entrance fees are included. What are you waiting for? Take this unique chance to discover the places of one of the greatest painters ever, Pablo Picasso, with our private Barcelona Picasso Tour! Choose our Barcelona Picasso Tour and discover Barcelona through the eyes of the most influent painter of the 20th century, Pablo Picasso. If you are artistic, curios and adventurous all at the same time, this is the perfect tour for you! We offer our customers 4 hours guided tour with your own private guide to tell you everything about Picasso’s personal life and art. Pablo Picasso was a Spanish sculptor, printmaker, ceramicist, stage designer, poet and playwright probably best known as painter. He is considered one of the main artists of the 20th century, also being one of the founders of the Cubist movement, a revolutionary artistic style. His art stroke 20th century not only because of its undeniable and absolutely unique beauty, but also for the deep social message they always carry. In fact, Picasso was a fervent pacifist and his love for humanity throb through all his magnificent artworks. The artist was born in Malaga, but his parents moved to Barcelona when he was very young. 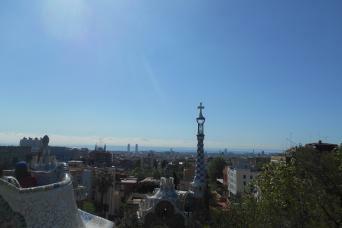 In 1904 he moved to France where he lived the rest of his life, though he kept on going back to his beloved Barcelona. This gives evidence of how Barcelona inspired him and contributed to make him the icon he is nowadays. Exceptionally prolific throughout the course of his long life, Picasso’s works are usually divided into periods. You should really explore them all. Your English-speaking guide will bring you to Picasso’s Museum for an in-depth visit of his main early works hosted inside 5 medieval buildings. The Museum also contains the series Las Meninas (1957) and a comprehensive print collection. 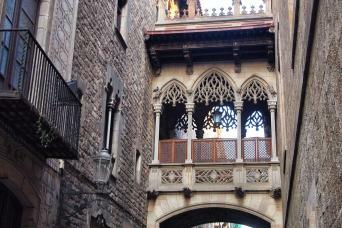 After the museum, you will enjoy a magical walk through the Borne and Gothic districts. You might be a little hungry by now. No problem, we thought about it too. Next stop will be Picasso’s favorite restaurant in Barcelona, the “Restaurant of the 4 Cats”. Opened in 1897, the restaurant became a meeting place for many famous modernist artists, above all Pablo Picasso. He was even asked to decorate the menu covers, thus turning them into one of his masterpieces. A part from Picasso, actually the restaurant itself is really nice to see, thanks to peculiar interiors and Gothic style and atmosphere. 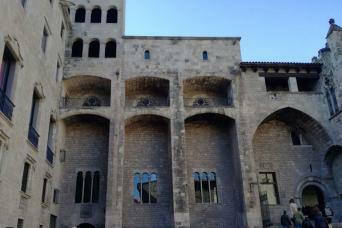 The last part of the tour will be the Sala Pares (Pares Exhibition Centre), the gallery where Picasso arranged his first exhibition. Surely the gallery is a must-see if you are a Picasso lover, but it fulfills everybody’s artistic preferences, as it houses a collection of worldwide artists, as well as Catalan and Spanish works of the 19th and 20th century. If you love art, Picasso and Barcelona, this tour is simply shaped on you. Do not hesitate, book our Barcelona Picasso Tour now!